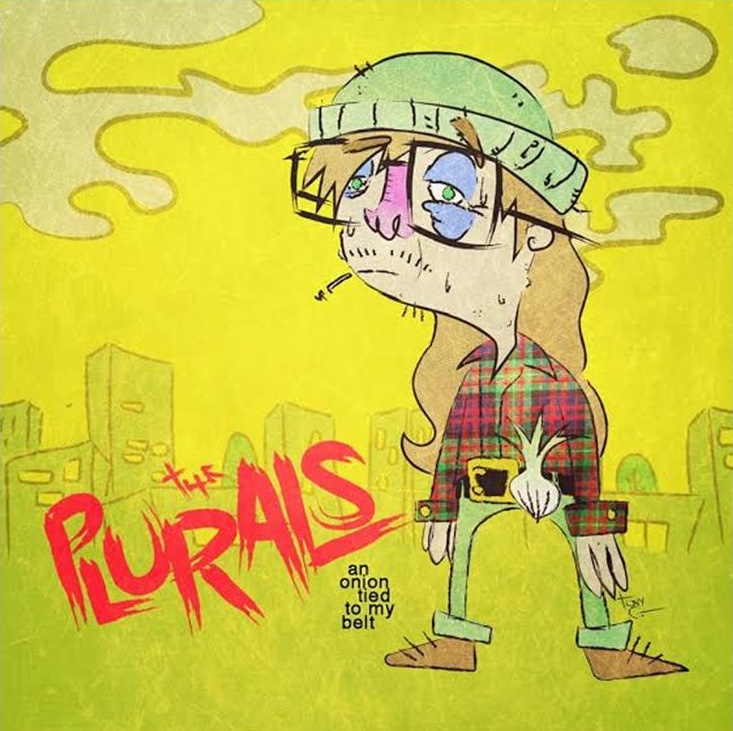 The Plurals – An Onion Tied To My Belt (GTG078) Out 7/21! Pre-Order NOW! It’s been in the works for a little while but The Plurals’ third album An Onion Tied To My Belt is done and will be out July 21st, 2015! 12 songs, four lead vocals per Plural, mixed by Eric Merckling, recorded by Eric Merckling, Isaac Vander Schuur, and The Plurals at CrookedSound, Epiphany Sound, and GTG House, mastered by Dave Eck at Lucky Lacquers, artwork by Tony Goggles, 12-inch vinyl and 4.65 inch CDs will both be available, and it’s a co-release by GTG, Infintesmal Records, and Diet Pop Records. The release party as well as the kickoff show for The Plurals summer tour will be July 18th at The Avenue Cafe in Lansing. You can pre-order the record right now! This entry was posted in Album, GTG Records, The Plurals and tagged An Onion Tied To My Belt, Best Album of 2015, GTG Records, New Release, Pre-Order, The Plurals. Bookmark the permalink.